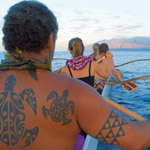 Indeed, Maui is everything you have dreamed Hawaii to be, and almost certainly more than you imagined. Palm-shaded, powdery beaches and lush rainforests…eclectic small towns and world-famous enclaves…it's all here. It has been said that we vacation to change the rhythm of our lives. For guests to Maui, this change may come with in the quiet surrounds of stunning Iao Valley…in an afternoon lazing on silken sands… on an awe-inspiring oceanfront fairway…or lost in the soothing embrace of an award-winning spa. Yet for those desiring a more stimulating pace, Maui pulses with adventure. Whether it's a breathtaking Zipline tour, a mountain bike excursion, a scuba diving expedition, or a once-in-a-lifetime helicopter tour, you'll find unlimited opportunities to stir your passions. Maui truly offers something for everyone…from the quiet majesty of a Haleakala sunrise, to a stimulating stroll through historic Lahaina… an historic afternoon in the paniolo town of Makawao, or a thrilling drive to 'Heavenly Hana.' So go ahead, explore. Engage. Indulge. Whatever you do, Maui will change you. 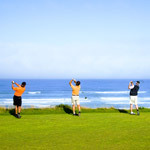 Whether you're a ranked professional or a weekend warrior, Maui offers something for every golfer. With over 15 courses to choose from, many with ocean views, golfing on Maui is an experience not to be missed. Maui has something to offer everyone in the family. From outdoor activities to world-class attractions, there is fun and excitement for all. From the world's most prestigious labels to locally produced crafts, from unique gifts to the best in island fashion, the shops and boutiques of Maui are a source of endless fascination. Whether you prefer ocean-fresh seafood, farm-fresh fruits and vegetables, or fresh takes on old favorites, Maui's restaurants truly offer something for every taste and budget.